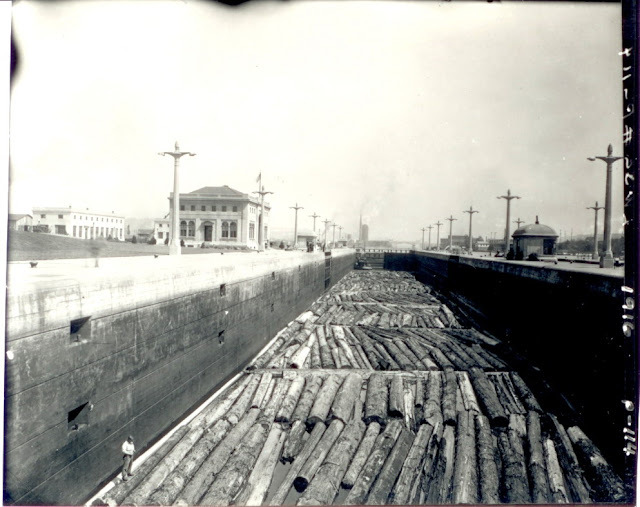 By Spring of 1916 Seattle’s long-dreamed-of ship canal was becoming reality. 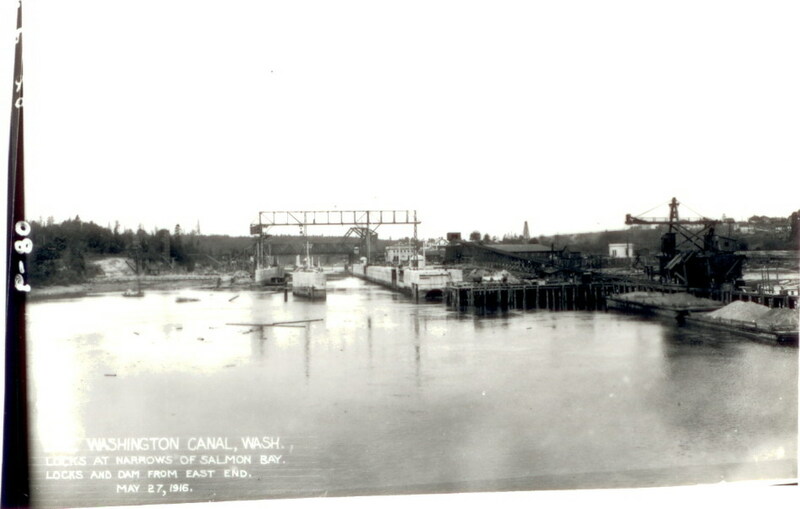 While the locks were being constructed at the west end of Salmon Bay a small waterway was kept open along the south shore so boats could continue to move between Puget Sound and the bay. 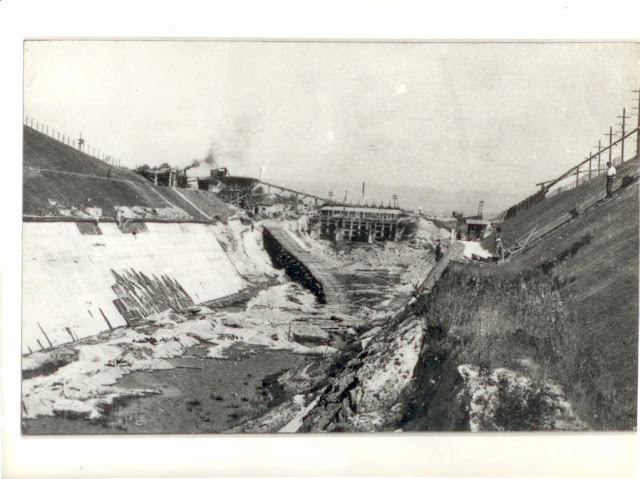 When the large lock was completed in February 1916 the gates were kept open and the tidal water then flowed through the lock so the small shipping channel could be blocked off to build the spillway dam. 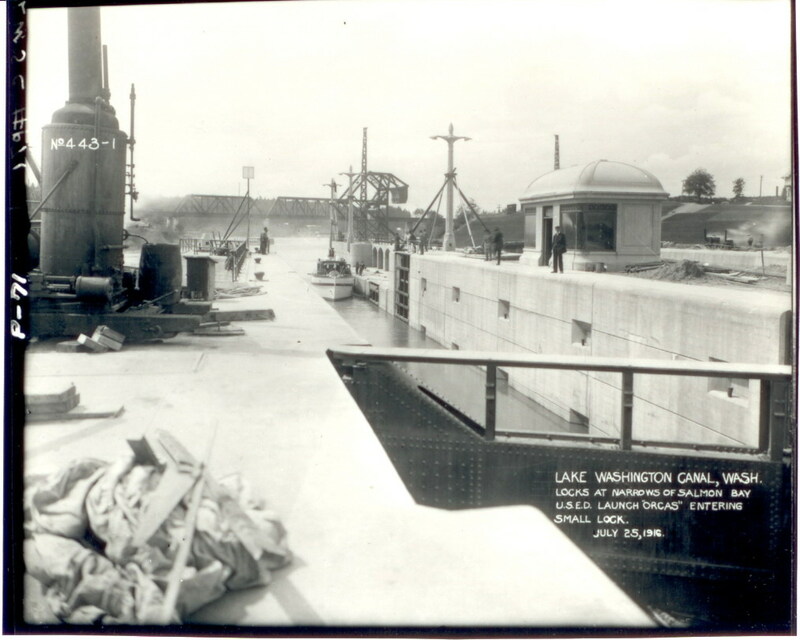 On July 12, 1916, with the small lock completed, the gates of both locks were closed to stop the flow of water coming down from Lake Union and Salmon Bay began rise. It took about 3 weeks for the bay to attain the planned level but on July 25 the Engineering Dept. survey boat “Orcas” entered the small lock and became the first vessel to be raised from Puget Sound to the new higher level of Salmon Bay. No longer would boats have to wait for a high tide to use the small shipping channel, the locks allowed them full-time access to Salmon Bay. Much dredging still needed to be done to establish shipping channels and construction was progressing on the Fremont and Montlake canals but the locks were in operation. During that first month in 1916 there were 304 lockages in the large lock and 830 lockages in the small lock. And Seattleites like to party. 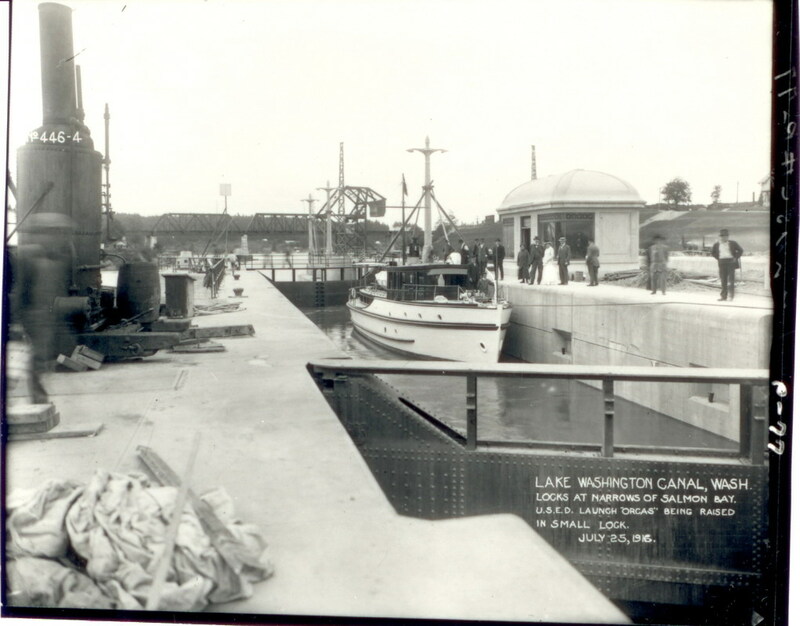 Next week- the opening celebration and onward to Lake Washington. Large lock in action 1916.